Welsh Gymnastics is proud to announce that it has appointed Ann Bevan as its new Chief Executive. A native of Pembroke, Ann represented Wales at Hockey in the Kuala Lumpur Commonwealth Games in 1998 and was a physical education teacher in Howells School in Cardiff for more than 17 years. Since leaving teaching she has worked in various roles at Sport Wales and is currently a High Performance Advisor. In her role as a High Performance Advisor, Ann helps sports’ national governing bodies to build support systems and infrastructure to support elite athletes. In the last Commonwealth Cycle, Ann worked with a variety of sports to prepare their coaches and athletes for the games and her work contributed to Wales’ most successful Commonwealth Games. Ann will replace Beverley Smith, who has been at the helm of Welsh Gymnastics as an interim CEO since Rhian Gibson left last summer. On her appointment, Ann Bevan said: “I am delighted to be joining Welsh Gymnastics. “Sport is an integral part of mine and my family’s life. My husband works in sport and my sons live and breathe it. I know the opportunities getting involved in sport at an early age can bring and I am passionate about introducing as many people, of all ages, to the foundation stages. Helen Phillips MBE, Chair of Welsh Gymnastics, said: ‘’On behalf of the board I would like to welcome Ann to the gymnastics world. Ann is not a stranger to our sport, having previously worked with Gymnastics in preparation for the Glasgow Commonwealth Games. 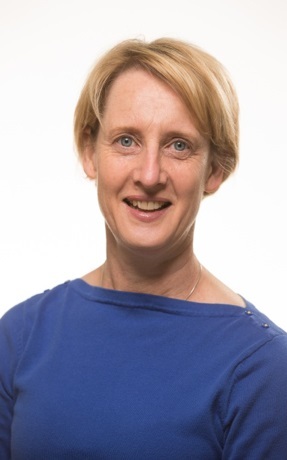 We are thrilled to welcome her to our National Governing Body where its staff and members clearly display commitment and expertise to our sport. Ann will take up the role in April. For more information, please contact Front Door Communications on 029 20 020360 or email knock.knock@fdcomms.co.uk.